The tech boom is driving high-end, artisanal beverage sales in Northern California. Guests at the Four Seasons in East Palo Alto spend big on wine and enjoy cocktails that go beyond the norm. As the Teslas rolled into the valet parking lane at the Four Seasons Hotel Silicon Valley in East Palo Alto, California, restaurant manager David Farah checked on the 2004 Dom Pérignon. At $59 a glass, the wine was doing a brisk business—typical for this luxury hotel that serves high-tech players and the venture capitalists who fund them. Silicon Valley—a loosely defined collection of towns with San Jose as its population center—is riding an economic boom, which has created a flourishing environment for hotels, restaurants, bars and retailers catering to clientele who want their drinks to be unique, edgy and carefully curated. Increasingly, Silicon Valley’s captains of industry are closing tech deals over better wine. “The Barolo flows along with the deal-making,” notes Farah of Four Seasons. The hotel’s Quattro restaurant and hotel bar lists the 2007 Prunotto Barolo Bussia ($198 a 750-ml. bottle). The hotel catered to CEOs arriving for this year’s Super Bowl, routinely selling such wines as the 2011 Domaine de la Romanée-Conti La Tâche Grand Cru ($3,200 a 750-ml. bottle) and the 2005 Domaine Leroy Clos de Vougeot Grand Cru ($5,500). In an average week, the hotel also sells upmarket wines through its by-the-glass program, which features offerings like the 2009 Margaux du Château Margaux at $51 a 6-ounce pour. Overall, the 300-selection bottle list ranges from $70 to $5,000-plus for red wines and $40 to $735 for whites. 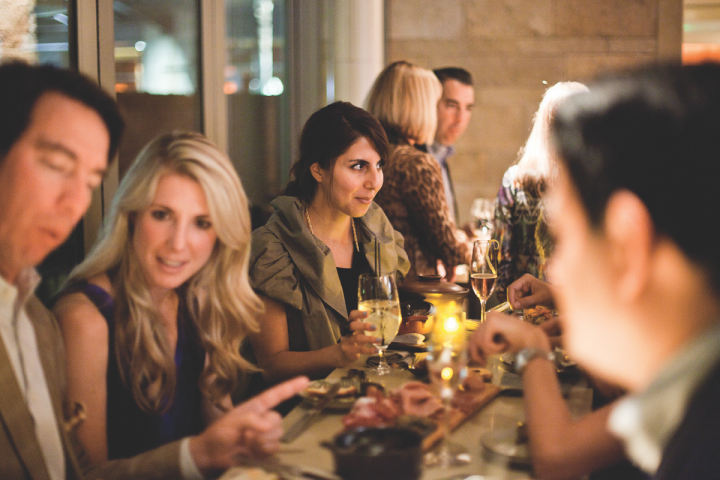 Rosewood Sand Hill Resort’s Madera restaurant caters to wine connoisseurs and lists over 800 Pinot Noir labels. 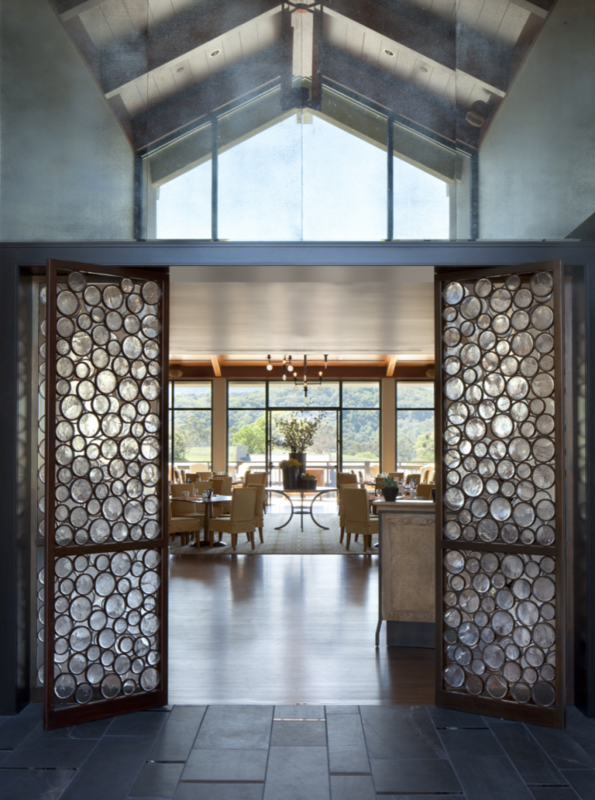 At Rosewood Sand Hill resort, nestled among venture capital firms on Sand Hill Road, wine is the star of the show. Director of food and beverage Alexander du Mée opened the hotel seven years ago along with its flagship restaurant, Madera. “For wine connoisseurs, it’s like a candy shop here,” says du Mée of the restaurant’s 2,300-selection wine list ($65 to $4,700 a 750-ml. bottle). Madera offers more than 800 Old World and New World Pinot Noir selections to complement its contemporary American cuisine, which is centered around the restaurant’s wood-fired grill. The 2012 Flowers Camp Meeting Ridge Pinot Noir ($195) is a perennial top-seller. The venue also offers about 35 wines by the glass. A popular selection is the 2008 Kathryn Kennedy Santa Cruz Mountains Cabernet Sauvignon ($45 a six-ounce pour). Meanwhile, up-and-coming restaurants like Bird Dog in Downtown Palo Alto are creating wine lists with labels not commonly found in the local big-box stores. Bird Dog co-owner and chef Robbie Wilson, a veteran of Nobu and The French Laundry, offers 350 selections ($30 to $1,200 a 750-ml. bottle) that aim to be both interesting and affordable. The sweet spot for Bird Dog is $70 a 750-ml. bottle, and the wines match Wilson’s eclectic, Asian-influenced cuisine. “We offer a lot of highly allocated brands in addition to labels under $100, and we look for accessible wines from Europe,” Wilson says. A favorite is the 2011 Château de Fosse-Sèche Cabernet Franc from the Loire Valley ($54). “It drinks like a $250 Burgundy,” he notes. Elsewhere, ON Semiconductor board chairman and former Cypress Semiconductor executive Dan McCranie owns Ladera Grill in Downtown Morgan Hill. He converted a spot in the historic Skeels Building into an upscale restaurant with a 143-selection wine list developed by certified sommelier Susan Marsh. The 88-seat Ladera Grill draws from outside Morgan Hill as well. “Our wine sales are as varied as our guests, from the $20 bottle on our ‘Last Call’ list to the $240 Dominus and everything in between,” Marsh says. Ladera Grill offers keg wine and sells 30 wines by the glass ($10 to $19), which lead in volume. A local favorite is the 2010 Martin Ranch Santa Clara Valley Syrah ($12 a glass; $46 a 750-ml. bottle). The 2012 Gunderloch Rheinhessen Dry Riesling ($46 a 750-ml. bottle) and the 2014 Henri Bourgeois Les Baronnes Sancerre ($15; $58) are also popular. Silicon Valley’s consumers seek spirits and cocktails that are unique. Healthy offerings are a key trend, says the Four Seasons’ Farah. The hotel’s Coconut Cure ($15) is made with Tito’s Handmade vodka, Cointreau orange liqueur, grapefruit and pineapple juices, cubed white sugar, and coconut water. The drink is shaken with an egg white over ice, strained into a Martini glass and garnished with a toasted coconut rim. Customers love spirits, but prefer a lighter feel in the other ingredients, Farah explains. A popular selection is the Whistlepig New Fashioned ($30), which is made with Whistlepig 12-year-old rye whiskey and features a large ice cube that contains all the traditional Old Fashioned ingredients, turning the drink into a cocktail as the cube melts. Creativity is a driving force at new Los Gatos restaurant and bar The Bywater. The venue pays homage to chef David Kinch’s New Orleans roots and features classic fare like gumbo, beignets and a raw bar. Tin Roof Drink Community designed the cocktail menu, incorporating a fresh approach to the traditional Sazerac, Hurricane and Daiquiri. “We like to pair more esoteric ingredients with approachable flavors,” says Tin Roof partner Claire Sprouse. The venue’s Huck-A-Buck cocktail ($12) mixes either Aylesbury Duck vodka or Pueblo Viejo Tequila with Blandy’s Rainwater Madeira and house-made watermelon syrup, while the Sazerac features Tariquet V.S. Armagnac in addition to Rittenhouse rye whiskey. “The Armagnac gives the cocktail a nice luscious mouth feel that’s balanced by the spice of the whiskey,” Sprouse adds. 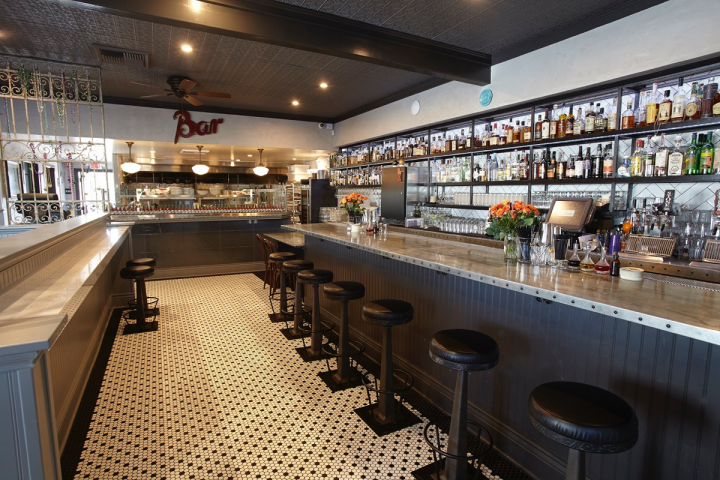 In San Jose’s ultra-hip Santana Row mixed-use community, the restaurant and bar Roots & Rye showcases more than 100 whiskies, and offers rare pours like the 1998 Russell’s Reserve Bourbon ($150 a 1.5-ounce pour) and Michter’s 20-year-old Bourbon ($175). “Consumers really like a curated list,” says chef and owner Julian Yeo. For cocktail lovers, Roots & Rye offers such items as The Last Word ($13), a Prohibition-era drink made with Edinburgh gin and Green Chartreuse liqueur. Silicon Valley works hard, and when it plays, the emphasis is on inventive, high-quality food and beverage offerings that go beyond the norm. That creativity and high energy are the essence of the scene.